Windows serves as the primary source of light and air ventilation for any house or office. A window that suits your personal style statement, complements the overall architecture of your building and is completely functional makes for a perfect package. But just as other elements of the building, windows also go through tremendous wear and tear and demand extra attention. Sticking to your old windows may seem like a cost savior option at present, but is indeed a bad decision for the long run. Not bothering about those cracked frames and shattered window glasses leads to a lot of energy wastage and costs extra money each month. So, this calls for professional window replacement to help you get rid of your old windows and replace them with more efficient options. A window replacement project can be overwhelming but at the same time exciting, especially when you think about the transformation it is going to give to your old house. Replacing the existing windows with similar ones or planning to install totally new shapes and styles – both would require an in-depth knowledge of types of windows being offered by most of the vendors in the market. This is the most popular style of windows offering a traditional appearance and performance. They are the best options for a small space. They are designed with two sashes slid vertically past each other in one frame. The best thing about this design is that both the lower and the upper half of the unit can be opened, with warmer air near the ceiling moving out through the top and the cooler air flowing through the bottom. These windows look just like the double-hung windows, with the primary difference of having only the bottom part operable. 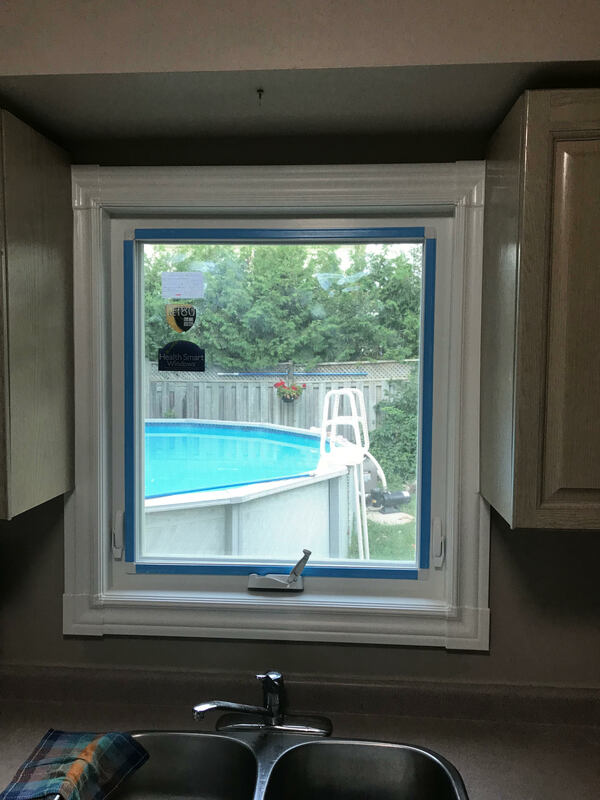 In this design, you can raise only the bottom part of the window, while the top part remains fixed. However, these are easy to clean and operate just like the double-hung windows. Without occupying any exterior or interior space when opened, they are a great option to update the looks of your home at budget-friendly prices. Such windows are a perfect option where the width exceeds the height. With one or more sashes sliding past each other horizontally within the frame and also having due space for insulation between them, they take limited wall space. They work well in almost any area of the home and provide an adequate amount of ventilation and natural light. Easy to open and clean, these types of windows are practically adaptable for any size of the wall. You can also have customized options for bedrooms, living areas and bathrooms to suit your requirements. These windows are hinged on one end and swing out from the other end just like a door. They are large sized and mostly used where the height is more than the width. Installed in wide spaces, they offer clear views and amazing ventilation in the room. They can be opened and closed with the help of a turn down handle and are easy to operate in comparison to other types of windows. There are endless color and design options available in this style to add to the attractiveness of your home. Awning windows are quite similar to casement windows, with the only difference of being hinged at the top of the frame rather than the side. These windows are typically used above other windows and doors for allowing extra ventilation. Due to their compact sizes, they are ideal for smaller places where the width is a little more than the height. Since they open outwards, they are typically built of waterproof materials.